If you casually read Alessandra’s post dedicated to Villa del Balbianello, you will notice for sure for sure how many comments are posted by our readers. 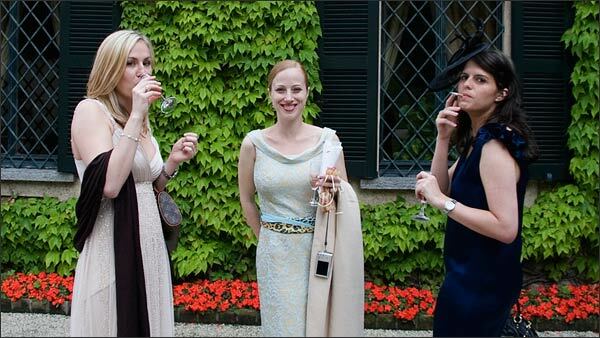 They are all interested in receiving information’s about getting married in this famous Lake Como Villa. 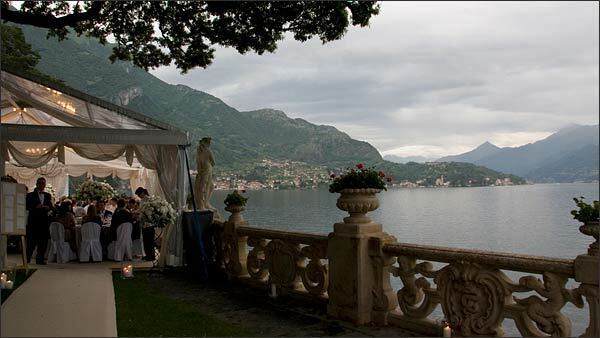 In fact, Villa Del Balbianello is considered one of the most exclusive and luxurious Italian wedding venue. 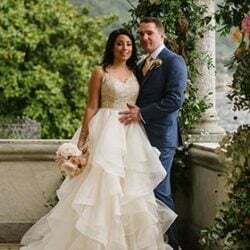 In occasion of Kristi and Ben wedding, a nice and friendly couple, we’re here again talking about Villa del Balbianello. Ben comes from UK, Kristi is Australian: both are two young successful people in the high finance. 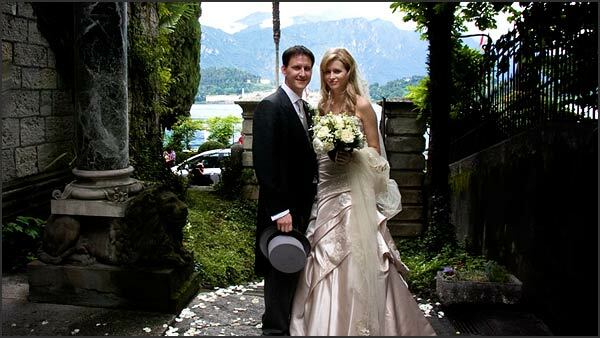 For their video service they chose Myitalianwedding, specialists on Lake Como weddings. 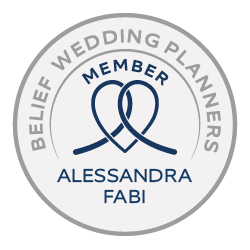 Myitalianwedding always offers an accurate and top level service, working constantly with the best Italian and International wedding planning agencies. 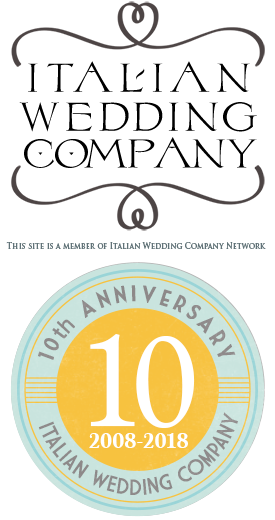 For more information please visit www.myitalianwedding.net. 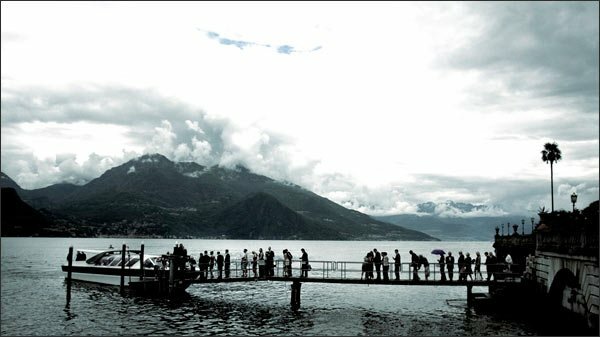 Bellagio, the beautiful small Town located in front of Lenno promontory, was chosen as ‘departure point’. 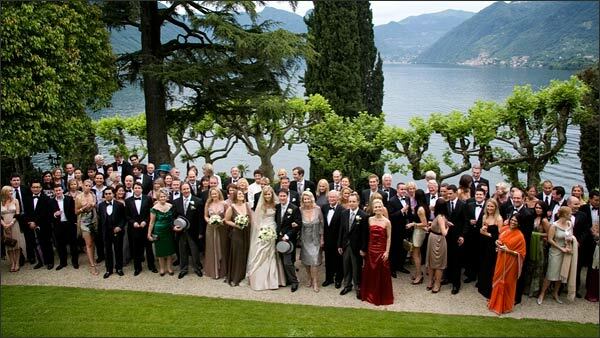 Bride and groom, together with relatives and friends slept at the prestigious Grand Hotel Villa Serbelloni. 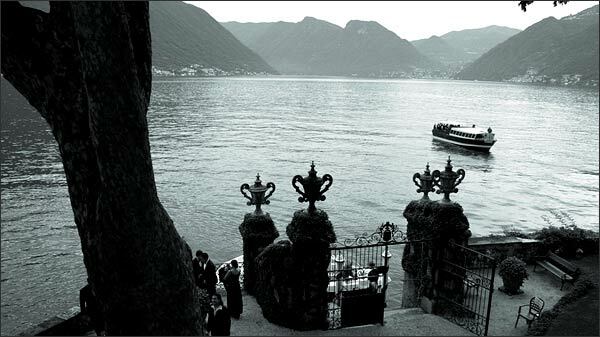 They to left it with a private boat, crossing the lake toward the small pier of Cadenabbia Ascension Church. Anglican Church of Cadenabbia is an authentic architecture jewel studied by young Italian architect Giuseppe Brentalo. Church has been completed and consecrate in 1891, it was built over the ruins of an antique chapel located inside the Hotel Bellevue park. The wedding ceremony was very touching, thanks also to ladies voices choir who accompanied hymns and thanks to music of string quartet as background. Flowers decoration was very refined,too. It was planned all on white tones, in a profusion of roses, Lisianthus and daisies. 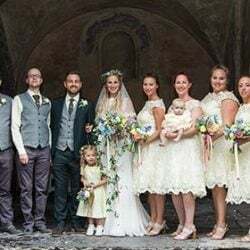 To note the stunning Gypsophila chains which adorned the Church benches and the white roses petals all over the floor, from the main entrance to the major altar. At the end of the ceremony, after the usual kisses and congratulations, Kristi and Ben got on a motorboat from Church pier which was waiting for them. They were followed by a ferry with all the relatives and friends on board. Destination: Villa del Balbianello. Villa del Balbianello dock is something really unique and evocative. It is characterized by elaborated wrought iron gates and it is dominated by 4 columns on which are located enormous amphorae. From here a little parh conducts to the Villa which dominates the area from a hill, surrounded by a panoramic terraced garden. But real masterpiece of Villa del Balbianello is the elegant three arcades Loggia, thickly covered by a majestic Ficus Repens. The Loggia allows a double landscape: Tremezzina on one side (central lake) and on the other side basin toward Comacina Island. Gorgeous Italian Style gardens are the real breathtaking part of the villa. 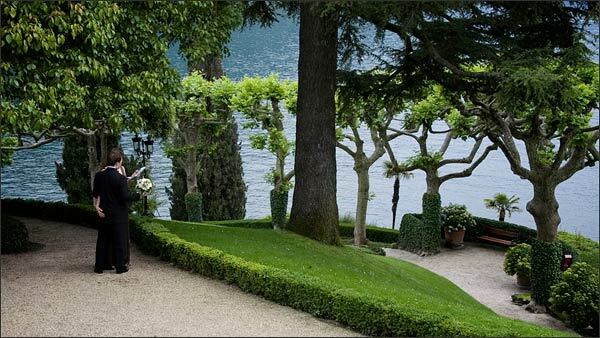 They gradually go down to the Lake and they are all very detailed where numerous plane trees, pruned in a chandelier shape, stand out: what a fabulous scenery for the newlyweds and their guests! After a rich aperitif served under the Loggia an elegant dinner followed. It was arranged in the elegant Pavillion on the lake. To be noticed the fantastic centerpieces created in high ‘Martini’ glasses: an authentic floral cascade with long white Phalaenopsis orchids stems, together with Lisianthus and green Molucella. 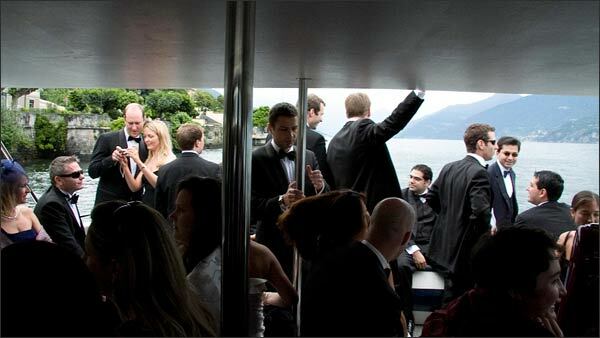 The party continued between dances, speeches and toast until the final apotheosis of the fireworks on the lake. 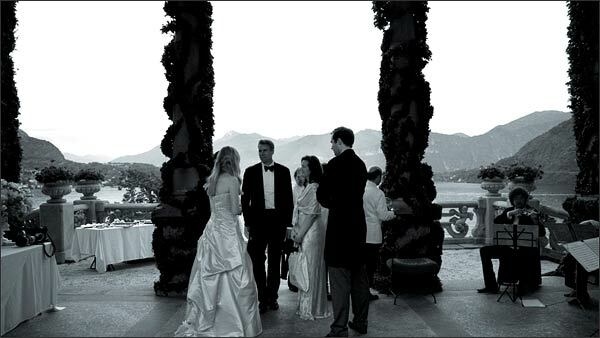 A fantastic end of a real unforgettable wedding at Villa del Balbianello! Many of you write us to ask further information on Villa del Balbianello rental. For this reason we would love to give you more information on our blog that we hope could be useful. As mentioned Villa del Balbianello is a very exclusive and unique venue, for this reason rental fee is related to the luxury and exclusivity of the location itself. 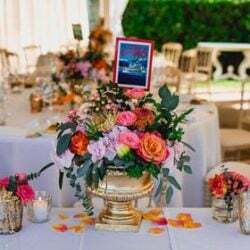 All images and video © Myitalianwedding. All rights reserved. Use without permission is illegal. It’s great idea to spend wedding day on the boat!!! Thanks for sharing it!!! Can you please send me costs on a wedding in September 2011. Thank you for sharing the above wedding video. 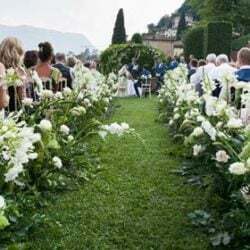 We are planning to get married in Aug/Sep 2011 in Italy, Can you kindly provide more information on weddings at Villa del Balbianello at your earliest convenience. can you send me information on getting married next Sept 2011 as well or October 2011.
can you stay overnight at the villa? my enquiry does not refer to a wedding arrangement. Should someone have found it, please let me know. Thanks a lot. Could you please send me an estimated cost for a similar wedding in June 2013? 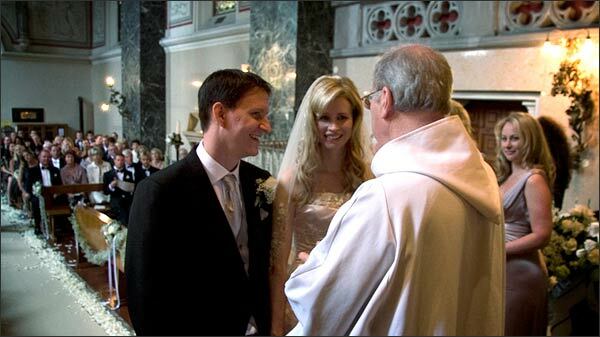 Is the Villa itself licensed for civil ceremonies so the entire ceremony and reception could all be held there? 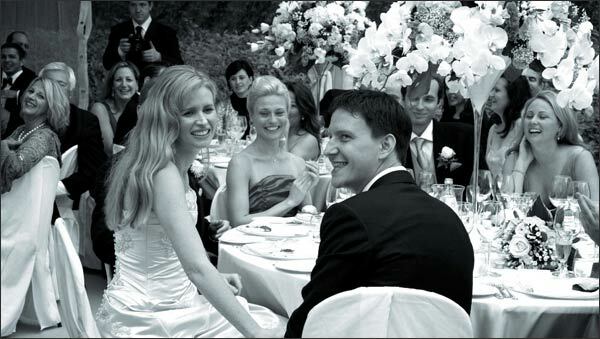 We are looking at booking a wedding reception for July 2014 for 60 guests at the Villa. 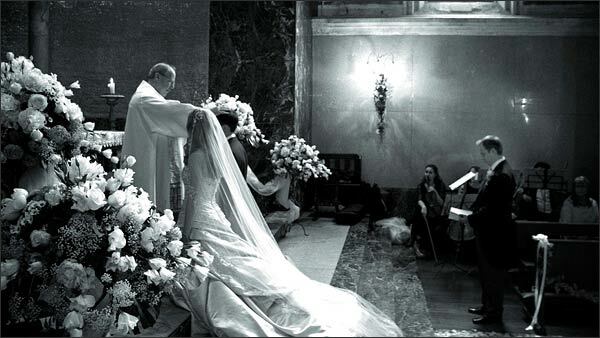 We would like the actual wedding to be at Varenna Church (Catholic wedding). We will soon send you detailed information about villa and costs. Could you send me details of cost for a wedding at the villa in 2014. 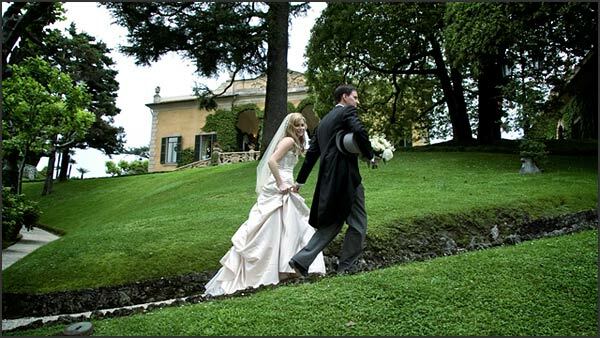 Could you please e-mail me the availability of dates for booking a wedding around June/ July 2014 at Villa Balbianello please? Could you please contact me, I would like a breakdown price for wedding and ceremony for next year 50 people. E’ possibile ave un preventivo per solo il ricevimento in Villa Del Balbianello per approx 130persone? 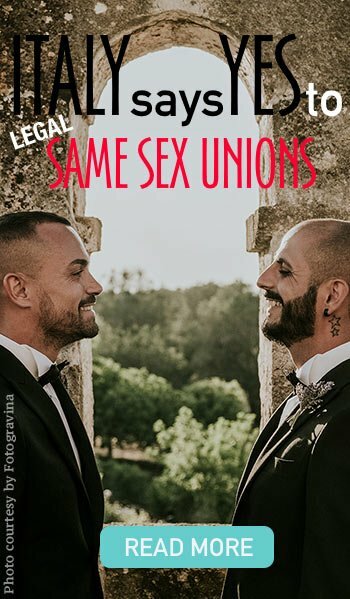 Avete ancora disponibilità per un sabato di Luglio 2014. Can you please send me more info on this venue with prices? Hi, Please can you send me information for exactly this wedding. Getting married in the church then the reception at the villa? Here is an engagement session made on Lake Como with a couple who flew in from Singapore. Can you please send me capacity details, pricing and packages for the villa for both ceronany and reception? Wedding for July 2018. Please also send any additional information on this venue. 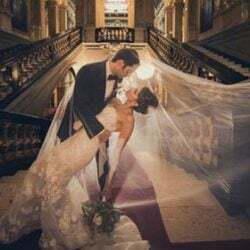 Can you please give me a price breakdown of a wedding here for 2019? Would love to get marry here the next spring (2018). So I’m curious about the costs of the location. I would love to have the ceremony there as well the dinner/afterparty. What are the costs for that and is for how many hours can you have the location for your wedding? Are there also arrangements like food etc. And what are the costs for that. Thank you! We are interested to get marry here. (Fall 2020) Can you please send us an expose about the price and the different arrangements (if this exist). We are although need an possibility to stay for a couple of days. I couldn’t find your email address where I could answer to your request.